Negotiated solutions to human rights violations in global supply chains? The Ethical Trading Initiative (ETI) is a UK-based multi-stakeholder initiative involving companies, trade unions and NGOs that focuses on improving working conditions within business supply chains. The ETI’s membership includes well-known companies such as Asda, Burberry, C&A, Gap, Inditex, Marks & Spencer, Mothercare, Sainsbury's and Tesco. The ETI’s governance structure is tripartite, involving equal representation on the ETI Board by NGO representatives, trade union representatives, and member companies. The ETI has a number of processes for responding to alleged breaches of the human rights set out in its code of conduct (the ETI Base Code). Our research indicated that, with some notable exceptions, these processes have demonstrated very limited effectiveness in facilitating effective redress in cases of ongoing human rights violations. The positive exceptions fall into two categories. First, on several occasions the ETI has responded to evidence of rights violations by helping to coordinate successful advocacy for legislative reform in the UK. Arguably such advocacy should be a higher priority for the ETI in producer countries as well as in the UK. Second, in the unusual circumstance where significant and sustained media coverage of a particular rights violation generates a major threat to the reputations of ETI member companies (such as the Rana Plaza tragedy in Bangladesh), the ETI can play a valuable role in facilitating important initiatives to address that human rights issue (such the Accord on Fire and Building Safety in Bangladesh). Such exceptions aside, why has the ETI had such limited success in rectifying violations of the human rights set out in the ETI Base Code? It is important to note that there are complicated and highly unbalanced power relationships in each of the various spheres that the ETI must influence in order to facilitate effective redress. These spheres include the power relationships between workers and employers in low-skilled industries; the power relationships between ETI member companies and their first tier suppliers (and other suppliers further down the supply chain); and the power relationships between corporations (including ETI member companies and their suppliers) and state institutions in various countries. There are also complex and unbalanced power relationships within the ETI itself. While there is considerable variation in the extent to which ETI member companies are actively pursuing compliance with the ETI Base Code, our research indicated that even among the more progressive ETI member companies the primary motivation for participating in the ETI is to protect and enhance their reputations with consumers and investors. While there is potential for overlap between this corporate agenda and ETI civil society groups’ goal of human rights redress, that overlap is not automatic. In the absence of a significant reputational threat it can be in the best interests of ETI companies to continually delay any agreement on how to respond to a human rights grievance and to water down the final agreement so it falls well short of full respect for the rights in the ETI Base Code. Further, arguably just by joining the ETI a company acquires a valuable shield against public criticism of its labour practices, since it can claim that it is working with well-respected civil society organisations to address human rights issues. This creates the risk that the ETI could undermine, rather than increase, pressure on companies to cooperate in ensuring that human rights grievances are properly addressed. Our ETI mechanism report makes a number of recommendations for reform of the ETI. Importantly, a number of those recommendations are very similar to commitments in the ETI’s current five year plan, although details of how and to what extent they will be implemented remain limited. The report also highlights factors external to the ETI that are currently undermining its effectiveness. Research interviews for this report were conducted between 2011 and 2015. In the lead up to publishing the report (between May and October 2016) we engaged extensively with research participants in India, the UK and other countries, fact checking, seeking their permission to quote or cite comments made in their interviews, seeking their feedback in relation to the draft report and clarifying any comments they made in relation to the quotations and the draft. Any feedback or updated information received during this process was considered as we finalised the report. Unfortunately the ETI itself did not send feedback on the draft report within the 31 day time frame (up until 14 October) that we provided in order to meet our publication deadline. The ETI sent feedback on 25 October, after the report had been finalised. Much of that feedback misunderstands the analysis or disagrees with the arguments presented in the report. We are currently in dialogue with the ETI in an attempt to clarify misunderstandings, and look forward to future engagement concerning differences in opinion. The ETI highlighted one matter of a factual nature concerning our report, which requires correcting. Correction: This report indicates (on pages 45-46) that Arcadia was one of several ETI company members whose websites pointed to their engagement with ETI’s programme to address forced labour in southern India as evidence that the companies were taking the forced labour issue seriously. However, rather than a member of the ETI itself, Arcadia was a member of the ETI’s Sumangali Bonded Labour Group (SBL Group) and it was this engagement with the ETI that Arcadia’s website referenced as an example of its commitment to ending forced labour. Although the SBL Group was facilitated by the ETI, non-ETI member companies were allowed to participate in it and the report should have identified that Arcadia is an example of a non-ETI member company that did so. The executive summary of the report can be found below. The United Nations Guiding Principles on Business and Human Rights (UNGPs) propose that ‘non-state-based non-judicial grievance mechanisms’ have an important role to play in remedying human rights violations linked to transnational business, in addition to state-based judicial and non-judicial mechanisms. This report is one of the case studies of an Australian Research Council-funded project investigating the efficacy and potential of these kinds of grievance mechanisms. The report focuses on the Ethical Trading Initiative (‘ETI’), a UK-based multi-stakeholder initiative that promotes respect for the human rights listed in the ETI’s code of conduct (which is known as the ‘ETI Base Code’) within the supply chains of ETI-member companies. The report is primarily based on extensive field research conducted in India and the UK between late 2011 and late 2015, supplemented by more recent information provided by research participants and available in public reports. In so far as non-state-based non-judicial grievance mechanisms are concerned, the ETI is an important case-study. Unlike many such initiatives, the ETI is not administered or controlled by industry. Instead it has a tripartite structure involving collaboration between companies; international and UK trade unions; and non-government organisations (‘NGOs’) with a strong reputation for human rights advocacy. Given this membership, ETI might therefore be expected to be a leading example of what a non-State-based grievance mechanism can contribute to the resolution of business related human rights grievances. Most research participants did confirm the ETI is doing more to address allegations of rights violations than competing industry-controlled initiatives. However, if the ETI is an example of leading practice in the development of non-state-based human rights grievance mechanisms, our research suggests national governments and the international human rights community should have modest expectations of such mechanisms. Our research indicates there is currently a significant accountability gap. When global companies, including ETI member companies, make purchasing decisions that increase the likelihood that workers in their supply chains will suffer human rights violations, there is rarely an effective remedy available to those workers. The ETI is not currently filling that gap. · Its oversight of grievance mechanisms administered by member companies or their suppliers. 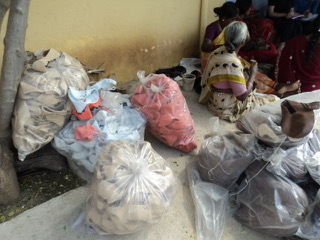 The ETI programme we investigated in greatest depth was is its Garments and Textiles from Southern India programme, established to address ongoing allegations of forced labour and other human rights violations in the southern Indian state of Tamil Nadu. Our research in India and the UK found that the process of designing this programme was slow, London-centric and marked by significant internal conflict between ETI companies and ETI civil society organisations as to the programme’s scope and goals. The programme itself has been a significant disappointment to many civil society representatives in India and Europe. These groups believe the programme—and in particular the focus on providing workers with training and information in their rights—will be of limited benefit because young Indian women employed in forced labour situations are not in a position to assert those rights. These groups believe the ETI should instead focus on persuading mill and factory owners to allow workers to make contact with local trade unions and other advocacy organisations, so that these organisations can investigate alleged rights violations, advocate on the workers’ behalf, and support the workers to organise and claim their rights. ETI staff argued ETI companies do not have sufficient leverage in relation to the textile mills to persuade mill owners to allow advocacy organisations to visit workers in the mills. However ETI companies have refused to share detailed supply chain information with ETI civil society groups, making the exact extent of their leverage in relation to the textile mills opaque. While it is unclear how typical the Tamil Nadu programme is of ETI’s programmes as a whole, it shares important characteristics with another ETI project we considered, the homeworker project in north India. 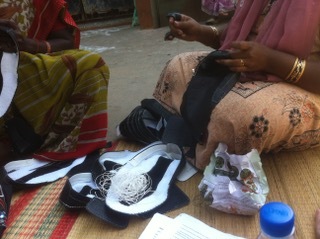 Like the Tamil Nadu programme, the homeworker project avoided addressing key rights in the ETI Base Code, such as the requirement that workers be paid a living wage. Like the Tamil Nadu programme, the rights-based component of the ETI homeworker project also focused primarily on providing workers with information and training about their rights, rather than on requiring ETI companies to provide suppliers with incentives to respect those rights. As with the Tamil Nadu programme, the benefits to workers have fallen well short of full respect for the human rights listed in the ETI Base Code. In so far as the ETI’s processes for responding to member-initiated complaints are concerned, most ETI civil society members reported that pursuing human rights grievances within the ETI was time consuming and, although it sometimes resulted in positive outcomes, it commonly resulted in ‘agreement to disagree’. However, when ETI companies face significant threats to their reputations the ETI can play a valuable role in facilitating important initiatives to address rights violations. The ETI’s involvement in the establishment of the Accord on Fire and Building Safety in Bangladesh (the “Bangladesh Accord”) following the Rana Plaza tragedy in 2013 is a good example of such a case. However the extensive media coverage of human rights issues generated by the Rana Plaza tragedy is highly unusual and therefore it cannot be regarded as a typical indication of the effectiveness of the ETI’s grievance processes. Civil society groups also reported that on several occasions the ETI had responded to evidence of rights violations by helping to coordinate successful advocacy for legislative reform in the UK. Two examples are the ETI’s role in persuading the UK parliament to pass the Gangmasters (Licensing) Act 2004 (UK) and the ETI’s involvement in the successful push to include a ‘transparency in supply chains’ component in the Modern Slavery Act 2015 (UK). Many civil society representatives (and some corporate representatives) argued the ETI should make advocacy for legislative and policy reform in producer countries a much higher priority since, as a representative of many major global buyers, the ETI has the potential to play an influential role in that space. As for the ETI’s role in overseeing grievance mechanisms administered by member companies or their suppliers, our research interviews indicated that this has not been an organisational priority. The ETI’s public reporting on this issue is not detailed and it is not clear from the ETI’s public reports how many of those workplace-level mechanisms that are in place are working effectively. So, with some notable exceptions, our research indicated that the ETI’s overall contribution to providing effective redress in cases of human rights grievance has been very limited. Why is this the case? It is important to note that there are complicated and highly unbalanced power relationships in each of the various spheres that the ETI must influence in order to facilitate effective redress. These spheres include the power differentials between workers and employers in low-skilled industries; the power relationships between ETI member companies and their first tier suppliers (and other suppliers further down the supply chain); and the power relationships between corporations (including ETI member companies and their suppliers) and state institutions in various countries. The vulnerable position of many workers means that it is far from easy to establish a grievance mechanism that they would have confidence to access, even if that mechanism did have the potential to resolve their grievances. The continual push by global retailers in many industries to minimise the amount they pay for their goods also severely limits their suppliers’ willingness to cooperate in any human rights initiative that might increase production costs. Suppliers also commonly have multiple customers, and if only a minority of their customers demand effective human rights compliance they may prefer to let those contracts go (or conceal the rights violations from social auditors) rather than spend money on human rights initiatives. Further, in many producer countries close relationships between industry and government result in half-hearted attempts by state institutions to protect workers’ rights. This also contributes to creating an atmosphere in which it is very difficult for workers to assert and claim their rights. There are also complex and unbalanced power relationships within the ETI itself. The ETI’s public communications occasionally imply that its member companies and member civil society groups work together harmoniously to achieve common goals. This is not the case. While there is considerable variation in the extent to which ETI member companies are actively pursuing compliance with the Base Code, our research interviews indicated that even in the more progressive member companies the primary motivation for participating in the ETI is to protect and enhance their reputations with consumers and investors. That is, they want to avoid or minimise any negative publicity associated with exploitative conditions in their supply chains. And most, if not all, ETI companies are only motivated to bring these exploitative conditions to an end if they can do so without reducing profit margins. While there is potential for overlap between this corporate agenda and ETI civil society groups’ goal of human rights redress, that overlap is not automatic. In the absence of a significant reputational threat (or of evidence that a human rights initiative would be either cost-neutral or profit-enhancing) it can be in the best interests of ETI companies to continually delay any agreement on how to respond to a human rights grievance and to water down the final agreement so it falls well short of the full respect for the ETI Base Code. Further, arguably just by joining the ETI a company acquires a valuable shield against public criticism of its labour practices, since it can claim that it is working with well-respected civil society organisations to address human rights issues. This creates the risk that the ETI could undermine, rather than increase, pressure on companies to cooperate in ensuring that human rights grievances are properly addressed. · support the establishment of local tripartite multi-stakeholder grievance mechanisms in producer countries, and work closely with those mechanisms. In our analysis these proposed reforms would enhance the ETI’s capacity to contribute to effective human rights redress. It is therefore noteworthy that the ETI’s current five year plan includes commitments that are similar to many of our proposed reforms. However there is currently limited information available on how these commitments will be implemented and it remains to be seen to what extent the practice will match the goals. What are the implications of these findings for UK government policy in relation to the UNGPs? While it is possible that planned organizational reforms may improve the ETI’s effectiveness in future, the ETI’s performance to date certainly cannot justify a refusal to pursue other initiatives, including more resources for state-based non-judicial mechanisms and greater international efforts to encourage governments to properly resource state-based judicial mechanisms to uphold and protect labour rights. Further, government agencies and other organisations that fund non-state non-judicial mechanisms such as the ETI should be aware that the effectiveness of these mechanisms substantially depends on the extent to which companies believe it is in their financial interest to address human rights grievances. In order to maximise the value of funding non-state non-judicial mechanisms it is therefore necessary to ensure that such funding is complemented by significant funding support for research that investigates, and draws public attention to, whether or not well-known companies’ business practices are contributing to human rights violations. Other initiatives, such as government procurement policies, can also provide companies with important incentives to genuinely address human rights violations in their supply chains. In the absence of such incentives and threats, negotiations between civil society organisations and corporate representatives within the ETI can absorb a great deal of time but only produce very limited improvements in respect for human rights.